A few years ago, I rediscovered, on DVD, one of the great shows from my childhood: The Muppet Show . 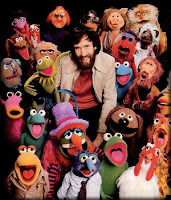 I purchased the DVD to show my son the full-scale magic of Jim Henson's creativity in its most extravagant form - the elaborate musical and comedy numbers that comprised the weekly "vaudeville-esque" series. I wasn't disappointed. The color, excitement, humor and just pure fun of the experience were all still there. And the whole phenomenon translated very well to my son, who quickly became a huge fan, as well (ironically, his favorite season 1 episode is the one featuring Mummenschanz - the bizarre Swiss pantomime group that gave me nightmares as a third grader). But there was something about the show that I had forgotten, something that really took me by surprise this time. 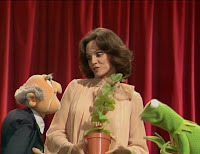 Each episode was "hosted" by a guest celebrity, who would become the focal point of the various skits and musical productions. And each and every one of these guest stars, ranging from Sandy Duncan and Ethel Merman to Vincent Price and Ben Vereen, was multi-talented. They could sing, they could dance, they could tell a joke, or play the "straight man" to a blue-skinned, impossibly-beaked puppet with an ease and grace that could only come with the training provided by a life in "show-biz." It dawned on me that these people, who I'd actually taken for granted as a kid, were actually true entertainers. They worked at their craft with passion and precision, and possessed true skills and talents that made them extraordinary. And this wasn't just true on highly produced programs like the Muppet Show. 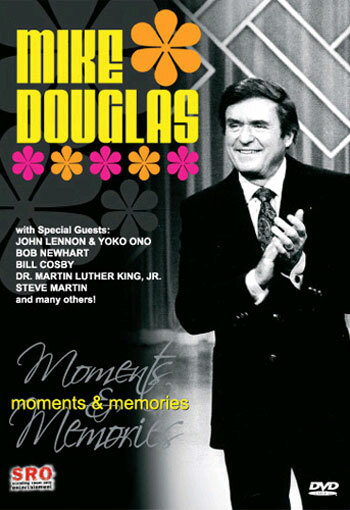 I used to enjoy watching the Mike Douglas show on CBS - it aired immediately after school. It was low-keyed, relaxing, and you really got to know the various show-biz stars who appeared. Sure, they'd sit there and shoot the breeze on the couch for awhile, but you also never knew what you were going to see. Maybe Telly Savalas would sing a song, or Tony Randall would challenge the host to a push-up contest. John Lennon and Yoko Ono co-hosted for memorable week in 1972, and showed areally hokey, corny, and very human side of themselves that might have gone otherwise undiscovered. No matter what, though, you always had a sense that the people who were on the show were on the show because they had accomplished something, or were capable of doing something that most people couldn't. I realize I risk painting a naively rosy picture of the 1970's and 80's in this blog. I don't mean to. In reality, the celebrities of the time were far from perfect. Like today's crop of famous-for-being famous celebrities, they also had drug problems, personality problems, and relationship problems, I'm sure. I'm also sure that many were "badly behaved." The difference, of course, is that their bad behavior wasn't their vehicle for achieving fame.